You may have seen that the number of women entrepreneurs is on the rise. But even though female entrepreneurship is growing – up 30 percent since 2007 – there is still work to do. Currently, women only make up 37 percent of entrepreneurs, and if we look at how women participate in entrepreneurship, we see that they are lagging in many key categories. I reviewed my firm's last three years of transactions – we help online entrepreneurs sell their web-based businesses – to see if I could learn more about how women were involved in this part of entrepreneurship. We gathered a lot of interesting data, but the number that stood out above all the rest was the fact that out of all the acquisitions we inspected, only three percent of the buyers were women. Why don’t women look to acquire? The lack of interest in acquisitions could be a result of natural differences between men and women. Kat Loterzo, a successful business coach, noted what she observed in differences between her male and female clients. According to Loterzo, for women, their business is something that they allow to be deeply tied in with their identity. So they'll make their decisions more based on emotions rather than on outcome. As a result, most women will be less likely to want to buy someone's business. Psychology Today has published a lot of information on the differences between genders. Among their observations, it notes that "women tend to input or absorb more sensorial and emotive information than males do." Because women have a tendency to view their business more as a part of their identity, it seems that they are less likely to want to make someone else's business their own. Depending on the type of business you want to build, there can be many benefits to building one rather than buying one. For example, if you are looking to disrupt a marketplace, you'll be looking at a startup. Reach profitability quicker. Startups often see little to no profits in their first year or first few years. Buying an existing business allows you to tap into profitability from day one. Acquire goodwill. Goodwill is all the non-tangible business assets that are difficult to replicate. This includes a business reputation, its branding or customers offering referrals. Goodwill takes time to build, unless you acquire it. View historical data. Starting a business involves a process of testing and experimenting with what works and what doesn’t work. This can take time, money and a lot of effort. When you buy an existing business, however, you have reams of historical data at your disposal. 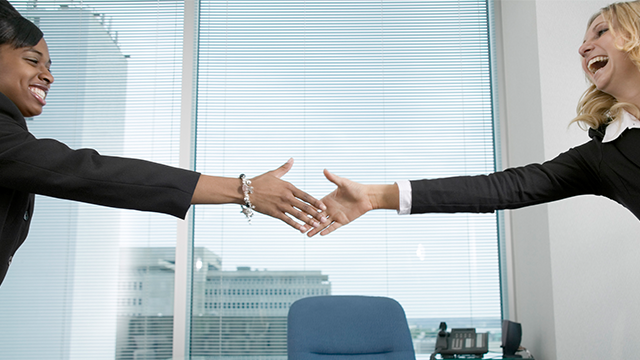 So what factors should you consider before making an acquisition? Loterzo offers five suggestions for women, who are considering an acquisition. 1. Don’t let your identity get wrapped up in your business. Kat already explained why many women don’t pursue acquisitions. However, when looking at potential acquisitions, it's important to take a step back from the business you want to acquire. This will help you make a results-driven decision. "If you want to be successful as an entrepreneur, you need to learn to make decisions based on the result you want," Loterzo said. "These should not be emotional decisions. Emotions can factor in, but ultimately, to take a step forward in business and be successful, you need to be able to put emotion aside and ask 'What are the facts and what is the expected result?'" 2. Ditch the women’s entrepreneurial groups. While entrepreneurial groups can be invaluable resources for networking, advice and support, Loterzo sees many women’s groups influencing female entrepreneurs to do things that are not results-driven. Instead, rather than turn to these groups for advice, find someone who has acquired a business before, and ask them for practical constructive advice. 3. Focus on the analytical. While men and women are equally analytical in their thinking, women’s brains are wired to combine analytical and intuitive thinking. Intuition is a powerful force when looking for problems in an acquisition. However, determining the upside of a business should be done on more of an analytical level. 4. Don’t let fear delay your dreams. Psychology Today noted that women tend to react more negatively to unpleasant experiences, and also experience less joy at positive outcomes than men. This can lead to more hesitation when pursuing entrepreneurial goals. 5. Take advantage of your intuition. While a business should be bought based on objective data, using intuitive thinking that comes more naturally for women is something to take advantage of. Buying a business involves a series of objective and subjective clues and cues. Women seem better equipped to sense danger signals than men. "Women are able to tap into their intuition more readily than men, to go on gut feel, and use their emotion to their advantage. This is very relavant to acquisitions," Loterzo said. Depending on what your entrepreneurial goals may be, looking toward buying a business may be the path that brings you the result you are looking for. As women continue to make inroads as entrepreneurs, hopefully more women will consider acquisitions and the benefits that buying a business can bring.